Two years before Neil Armstrong set foot on the moon, and only five years after Alan Shepherd’s first sub-orbital flight, a small group of Air Force officers began to fly to the edge of space almost daily. They continued to do so for over thirty years, in the most incredible airplane ever built. I was going to write something about the Shuttle, what it gave to its country, and the marvel of its very existence, but I just can’t. Not yet. I’m still too angry at the lack of vision — the incompetence — of the people responsible for shutting down our space program. Instead, I thought I’d re-post this excerpt from the book Sled Driver, about the near-spaceship that could. If you love airplanes and flying, read on. If you don’t…well, some of us are luckier than others. 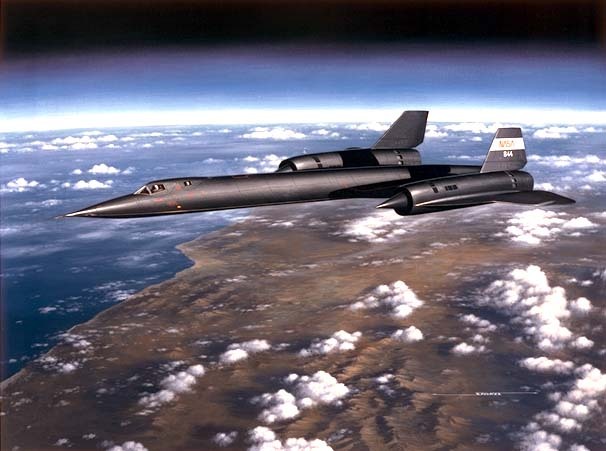 This entry was posted in History, Military, Technology and tagged aircraft speed records, Aviation, Beauty, Blackbird, fastest aircraft, History, Lockheed SR-71, Military, Space Technology, Technology, U-2 on July 10, 2011 by Bill.